The brilliant picture above comes to us from Twitter where it was posted by a kind copper in the Metropolitan Police Helicopter service. It is an irresistible shot that echoes the fact that the Ladder is technically visible from space when lit. The railway is along the top of the Ladder with north to our right where the lights of Turnpike Lane bus and tube complex can be seen. The dark area extending from that towards the left and shortening five of the roads is Ducketts Common. And I could mark my house with an X - its at this end of the first full length road from the right! 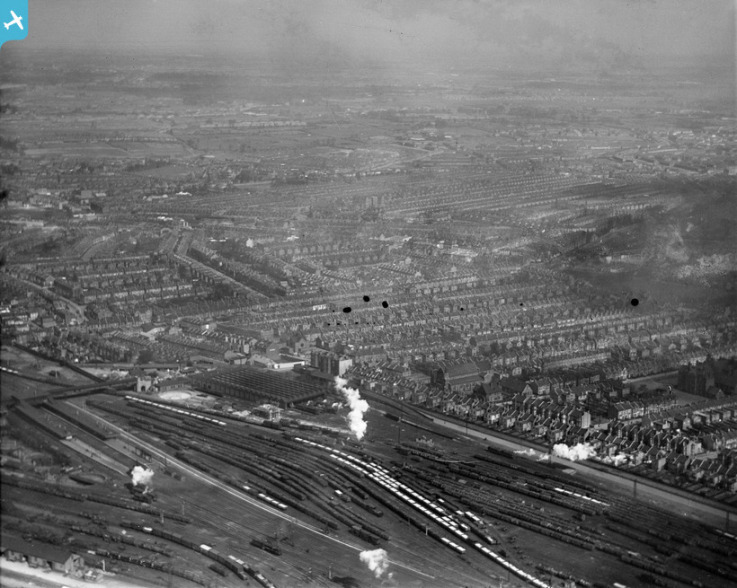 This modern view of the rail yard came from Harringay On Line of course - "Hugh found this image, entitled Harringay and Hornsey looking north, Glover & Hay, on HoL member Arkady's blog. What a great picture." I agree. 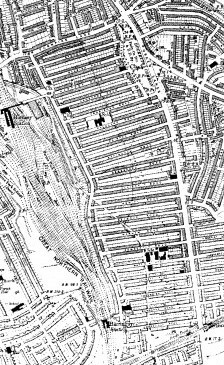 The rail yard to the west of Wightman Road - BR name was Hornsey Rail Yard but they were also known as Ferme Park sidings as they fed down to Finsbury Park area via Ferme Park. 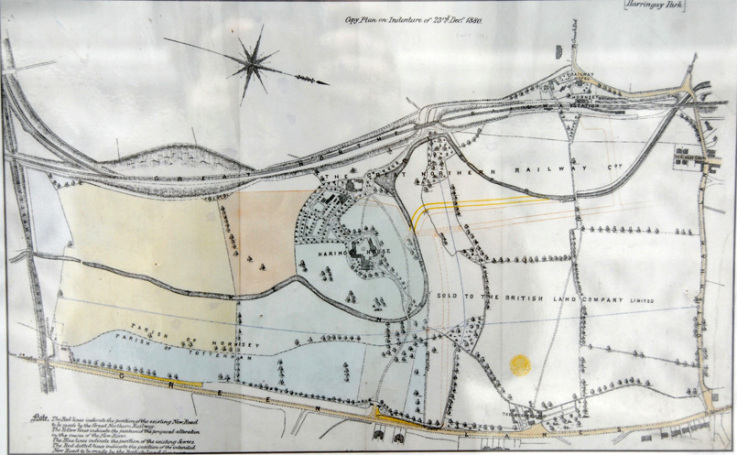 Early maps show why it was called Green Lane(s) before the developers got at it. This taken from a terrific little booklet about the New River which winds mostly unseen beneath Harringay. 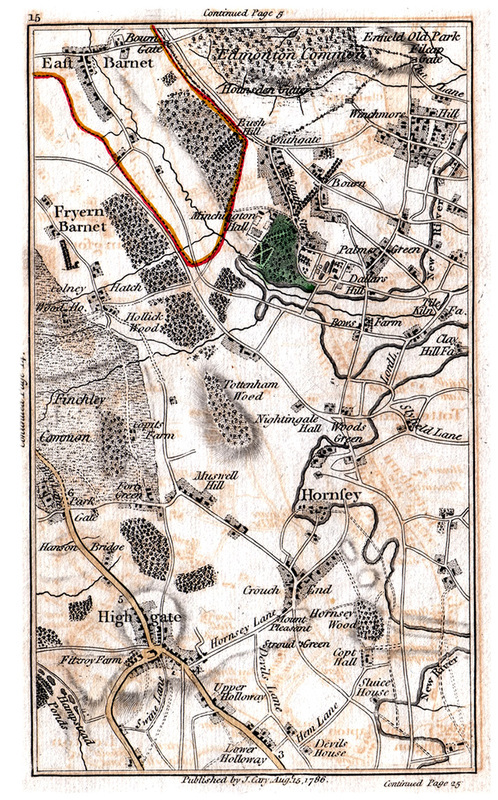 A wider area old map. 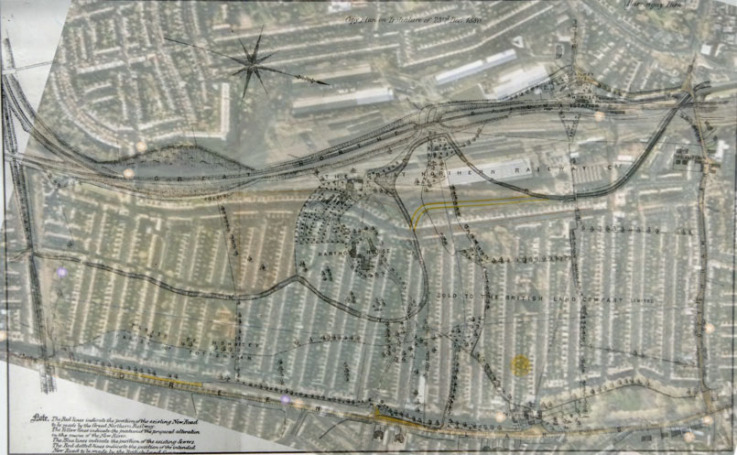 I am hugely indebted for this picture to Hugh at Harringay On Line who put it together. In this form it isn't too easy to see but worth the effort. 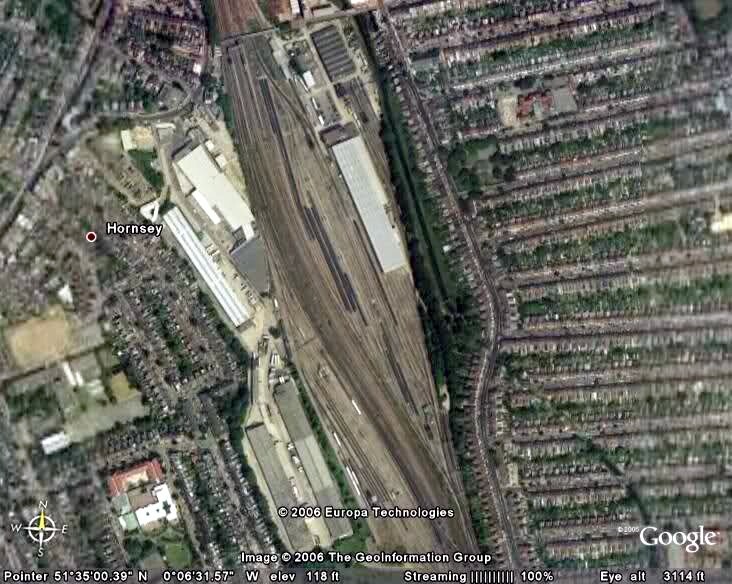 The under picture is a Google Earth view of the Ladder with the railway sidings at the top and Turnpike Lane station at bottom right. 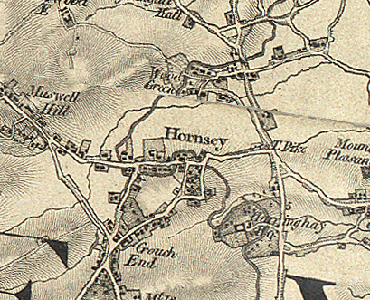 Overlaid is an ancient map of the old Hornsey House estate on which the entire development was built. This is the early map overlaid onto Google above. 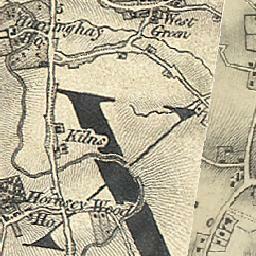 It shows only Wightman Road and Effingham Road built at this time. 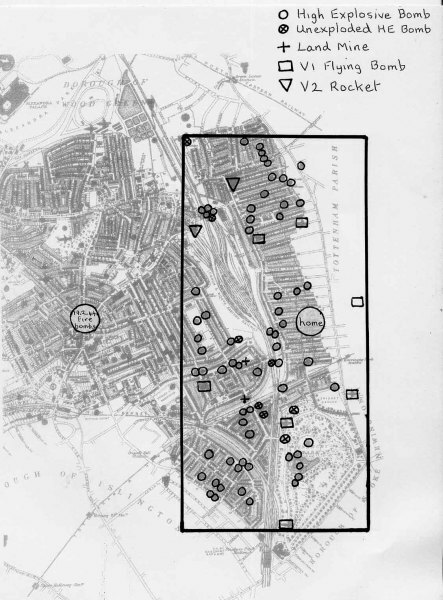 ...for this is the price the estate paid for being so close to that target for the bombs.